I know it is late Wednesday evening...but that doesn't mean there isn't time for a quick Mid Week Match-Up...because the week is half over and the matching isn't done yet! This next request is for a guy who, for the sake of anonymity, we will call Dave. Dave needs a car to replace his rusting Buick Roadmonster Estate Wagon...which is the proper 260 horsepower almost-an-LT1 equipped model, but it has seen better days. Dave is thinking about a 7-series BMW from the late 90s/early 00s, so we'll start with that...but you guys get to suggest some other terrible awesome rides. 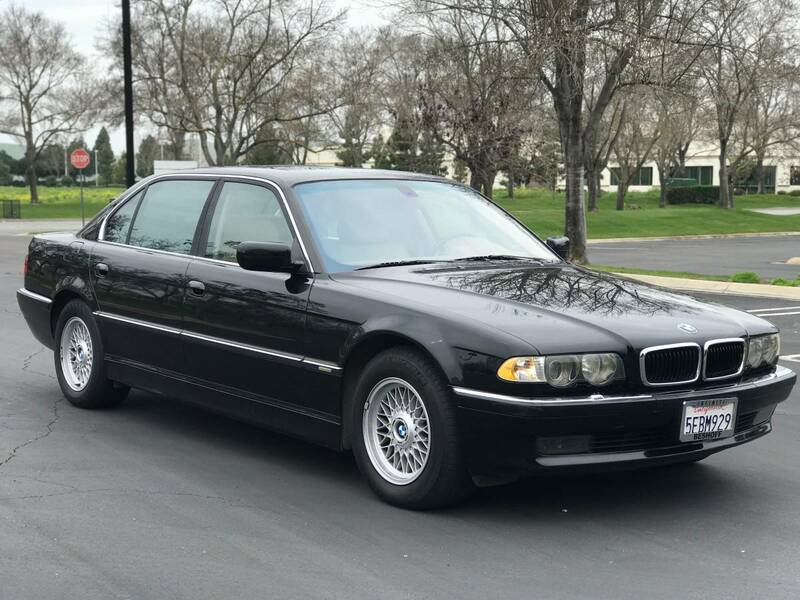 The best I could find is this 2001 BMW 740il E38 offered for $3900 in Fremont, CA via craigslist...but I'm sure you guys can do better. The budget is flexible (up to $15k for the right car) but Dave wants a slushbox equipped land barge for his commute. Make it so, number one! you won the thread, Sir. I was going to suggest a D2 A8 for less than 3k but the Jag is amazing. Agreed Eduardo, and the Jags look much better in person too. Those A8's sure are nice though, but OUCH on wallet if need be. The 97-99 Lexus LS400 or later LS430 are good choices for a luxo ride and some semblance or reliability. That's a great suggestion and not too hard to find either. And according to the ad, that Lexus LS 400 is a rare front-wheel drive model! (Still a good deal, ignoring the typo). Doh! I missed that, LOL. Wonder if they did the scheduled maintenance on the bearings for the headlight fluid...? Edit: These ones are RWD too so there you go!